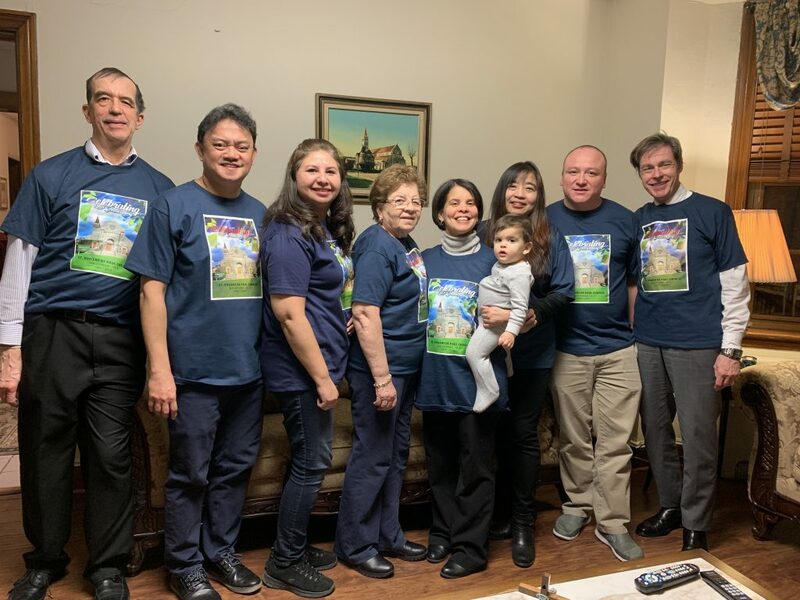 ANNIVERSARY CELEBRATION — Pictured is the committee for the celebration of the 125th Anniversary of St. Vincent de Paul Parish. Plans are being made for a tour of the church with a historical presentation, Zumba, a banner to adorn the front of the church, and finally a concelebrated mass with Cardinal Tobin on June 1 at 5 p.m., followed by a dinner dance. Commemorative T-shirt will be on sale after every mass starting March 3. A souvenir journal will be published, ads can be obtained by contacting rectory. Pictured with Deacon Micheal, Fr. Sergio and Fr. Hermès are Susana, Marion, Jeanette, Angie and Bill. Not pictured are Irene Padre and Lorraine Hansen.